Representative Jarrod Ousley from Johnson County summed up today’s House Education Committee hearing with one simple question, “why are we doing this?” Referencing 38 emails from constituents opposing HB 2531 with only 2 emails in support of the bill, Representative Ousley also asked, “are we doing the people’s work here?” HB 2531 seeks to eliminate due process provisions for Community and Technical College educators currently in state statute. During discussion on the merits of the bill, Representatives Lusk, Trimmer, Winn and Ousley each offered varying objections. 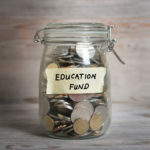 Representative Nancy Lusk cited research as well as recent news reports indicating that passage of the bill could adversely affect the ability to recruit educators particularly in areas were shortages already exist. 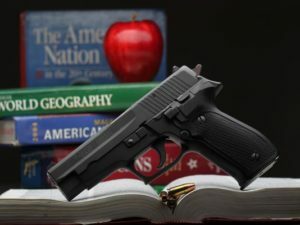 Representative Ed Trimmer, clarified the difference between tenure a term often misused to describe a “job for life” and due process which simply offers non-probationary professionals the ability to request an impartial hearing in the event that they believe they were dismissed unfairly. Further, Representative Trimmer cautioned his fellow committee members about supporting the bill on the basis of local control. Representative Trimmer pointed out that committee members supporting HB 2531 have been among the strongest proponents of a number of other bills that “have nothing to do with local control” but in fact undermine it. Committee member Representative John Bradford’s school consolidation bill comes to mind. 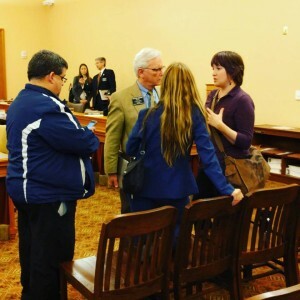 Shortly after this exchange, Representative Highland stated that the room was needed for another meeting and summarily ended the discussion with a call to vote on a motion to pass the bill out of committee. The vote was 11-6 in favor of passing the bill out. Representatives Lusk, Ousely, Boldra, Trimmer, Winn and Smith voted in opposition to the bill. Next the bill moves on to the floor of the House of Representatives where more debate will undoubtedly occur. First, you must voice to your representatives that you are tired of attacks on public education and the continuing disrespect of professional educators and that this bill should be OPPOSED. This is best done face to face followed by a phone call and finally a personal email. Contact your representative tomorrow, this weekend, and again on Monday until you’ve made your point clear. CLICK HERE to find your representative and contact them. Organize with the faculty at your institution. Bring others into advocacy and formulate some clear points on why due process is important protection for you to work as agents of opportunity and as advocates for your students, your profession and your community. CLICK HERE to listen to what others have to say about the vital support that community and technical colleges provide for their communities and students. Use these points to connect to your own story and share it with your representatives (See #1). GET & STAY ENGAGED! KNEA offers a variety of communication points, but one in particular offers you one-click access to them all. 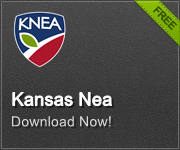 The KNEA mobile app includes access to Under The Dome, KS EdTalk, Action Alerts, Twitter, Facebook, Bill Tracker, and the KS Legislative Calendar. Use the app to stay connected and ready to take action. Encourage others to download and use it as well. It’s FREE!